Established in Melbourne in 2005, Sai Sandstone has become one of the leading stone suppliers in the industry, supplying beautiful, quality assured stone materials to their clients. One particularly beautiful type of stone they supply is Bluestone. Bluestone (or Basalt as it is sometimes known) is a grey to black volcanic rock of fine grains (primarily sand compounds and quartz particles) that has formed and hardened over millions of years. It is a dense, hard and dark material providing excellent wear and tear resistance. Bluestone is often used for outdoor paver tiles because of its durability, beautiful finish, customisable texture and striking colour. 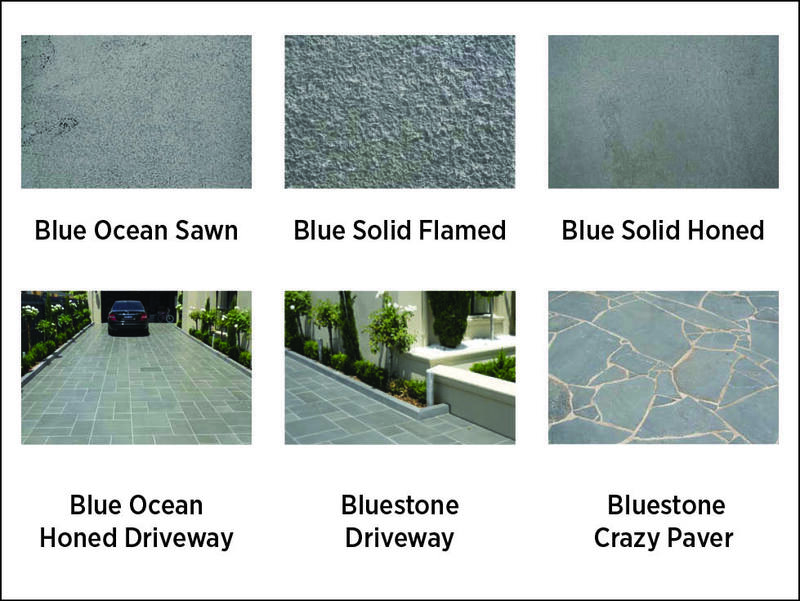 Bluestone is widely used for domestic and commercial applications like tiles, edging, pool surrounds and paving. Flamed Bluestone - used as indoor and outdoor pavers, this finish has a grooved, uniformed texture achieved by treatment with heat. Natural Cleft bluestone pavers are not uniformed in texture. Their natural texture is kept by their separation at their natural seam. Honed bluestone pavers are super thin in width and have a super smoothly finish. Sai Sandstone also provides pavers and materials for a number of other stone types including regular sandstone, granite and marble.